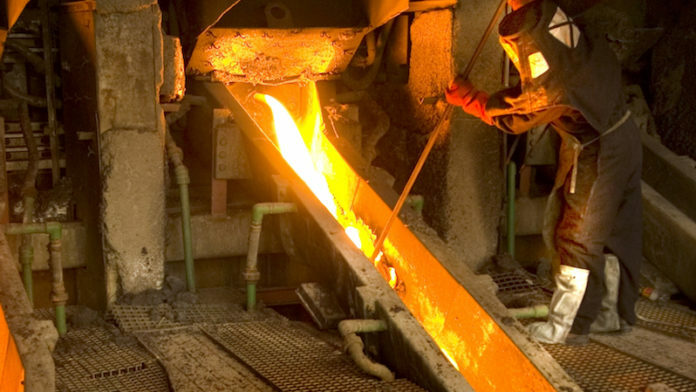 SHARES in Impala Platinum (Implats) gained nearly 10% in Johannesburg after the firm published a trading update in which it said interim headline earnings would come in at about R2.1bn, equal to 292 cents/share. This represents an enormous turnaround in the firm’s fortunes given it produced a R150m loss in the interim period of the previous financial year. The company is due to report its interim numbers on February 28. The improvement was largely put down to a better operational performance at Impala Rustenberg whilst the impact of strong pricing for palladium and rhodium lifted the overall basket price in rands. Refined platinum production was expected to increase 10% to 800,000 ounces (2017: 727,000 oz) as a consequence of a stock release of about 44,000 oz of platinum and improved performance from Impala Rustenburg. The stock build up in the six months of the previous financial year was a result of furnace maintenance undertaken during that period, it said. Platinum sales volumes are expected to increase by 19% to 773,000 oz (649,000 oz). In the comparative period, sales volumes were lower than refined metal, primarily due to toll metal of 116,000 oz returned to a third party. Basic earnings and basic earnings per share for the period are also expected to increase to at least R2.1bn or 292 cents per share (2017: -R163m and -23 cents per share, respectively). I wonder where are all the sceptical analysts who severely criticised me when i mentioned this stock as a go-to PGM counter!! !